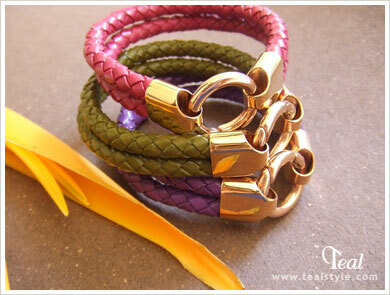 Braided leather bracelets in fuschia (sold), olive green (sold) and purple with a rose gold colored stainless steel circle clasp. Additional smooth dark chocolate bracelet in a smaller size available. Please specify the piece you would like when ordering.